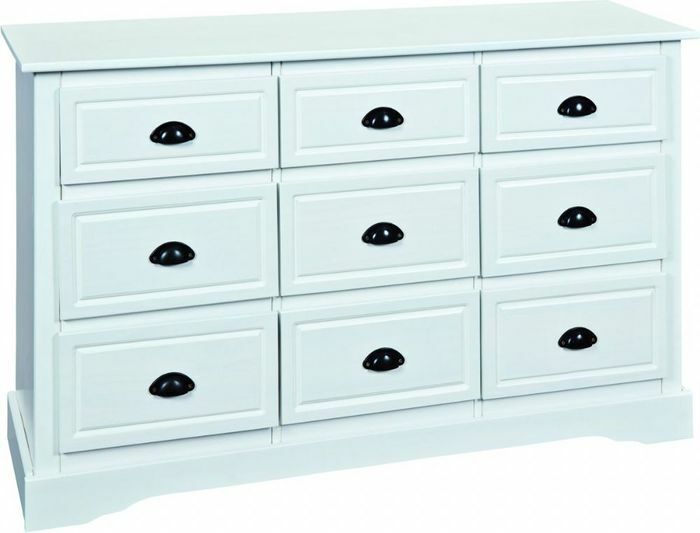 A timeless and practical chest of drawers with 9 drawers with high quality light metal extensions. Provides enough storage space. The gripping recess resembles a z-locker. Made of solid wood, surface coated white. Brilliant bargain, well done & thanks for sharing!